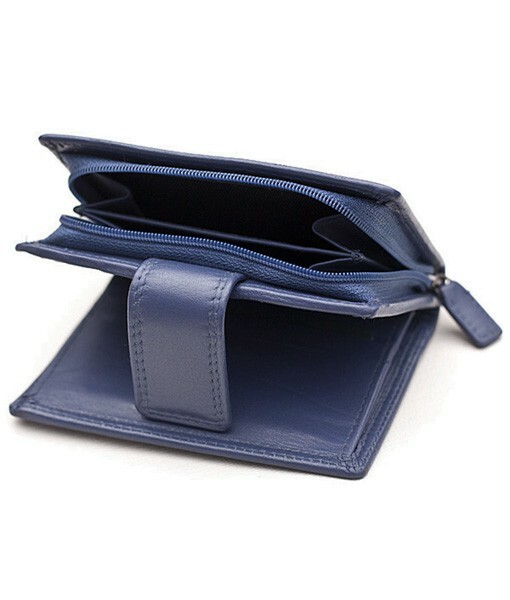 Ladies navy leather purse by Primehide, style 2311. One of the medium sized purses in a trifold design with compartments for all of your needs made from super soft leather. 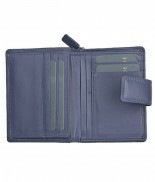 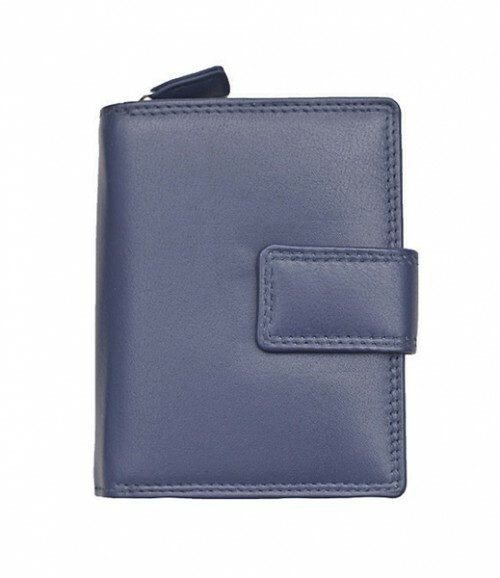 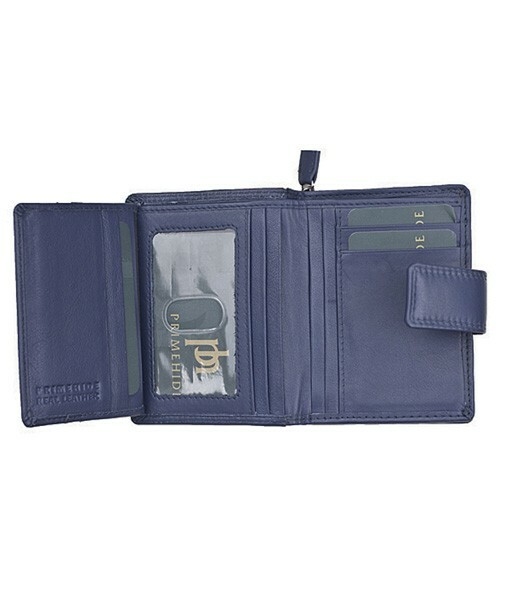 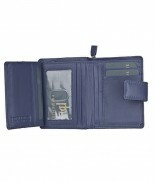 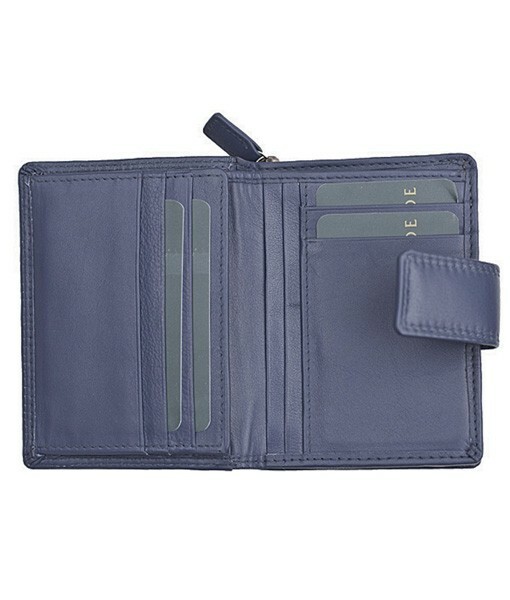 7 credit card slots, a note pocket, 5 pouch pockets, an ID pouch and zipped compartment.